‘Eco friendly Ganesh idols’ is the new buzzword going around all Indian cities that celebrate Ganesh Chaturthi in grand manner. Ecoexist, a social enterprise which is totally dedicated to Environmental protection by promoting Eco-friendly festival aspects, has designed many types of eco-friendly Ganesha idols for Ganesh Chaturthi 2015. It is to note that Ganesh Chaturthi 2015 date is September 17. These natural Ganesh idols are ready for sale in number of stores and stalls in almost all Indian metro cities such as – Mumbai, Pune, Hyderabad, and Bangalore. 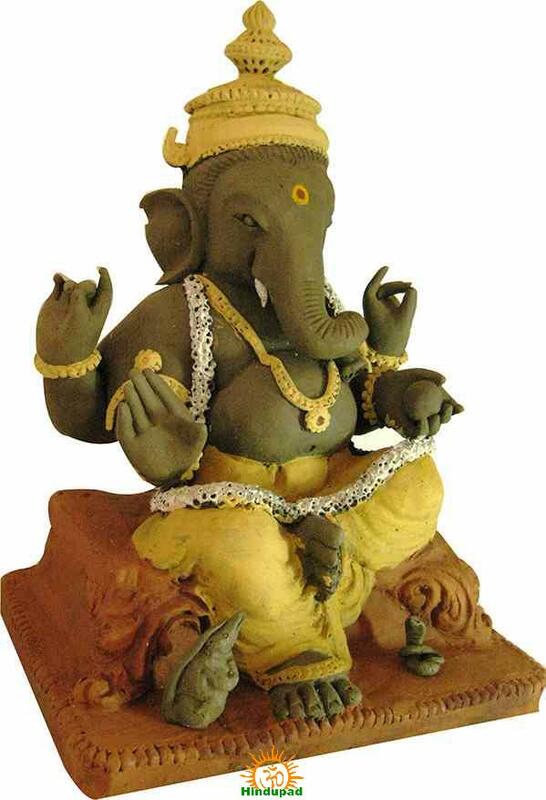 Ganesh idol may vary from 375 to 1700 based on the design and size. They named the idols as – Lahaan Titwalla, Lahaan Dagdu, Lahaan Nakshi, Madhyam Dagdu, Adi Ganesh, Kamal, Madhyam Nakshi, Double Lodh, Mayur, Pagdi, Large Adi Ganesh, Large Double Lodh, Darbar, Shilapith, and Large Ganpati. The size of the idol varies from 9 inches to 18 inches.